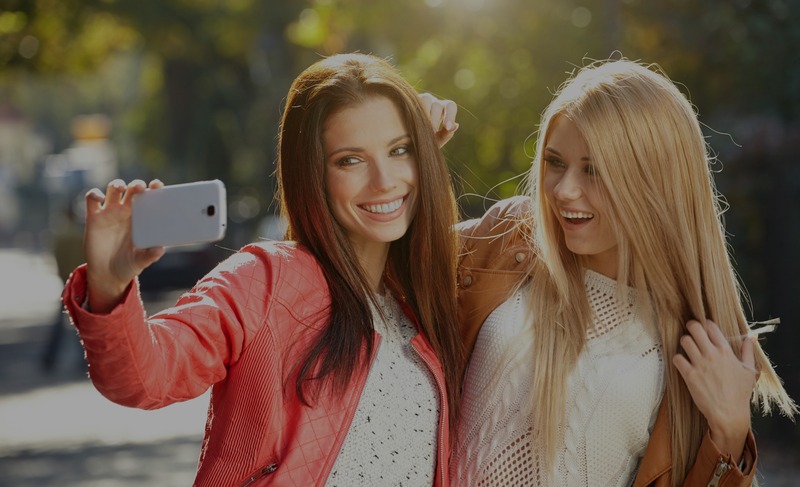 TAKE ADVANTAGE OF THE SELFIE TREND AND LET CONSUMERS INCREASE YOUR SOCIAL MEDIA ACTIVITY.. THEY PROMOTE YOUR HASHTAG AND YOU REWARD THEM WITH AN INSTANT PRINT. People take photos with their phones at the event. Enabling them to snap selfies wherever they may be in terms of location. Photos are uploaded on Instagram or Twitter using a specific hashtag created for your event or associated with your brand. Our print stations monitor social media and pick up tagged photos. A template is applied around the picture and instantly printed. Everyone’s got a camera on their pocket; their smartphones. 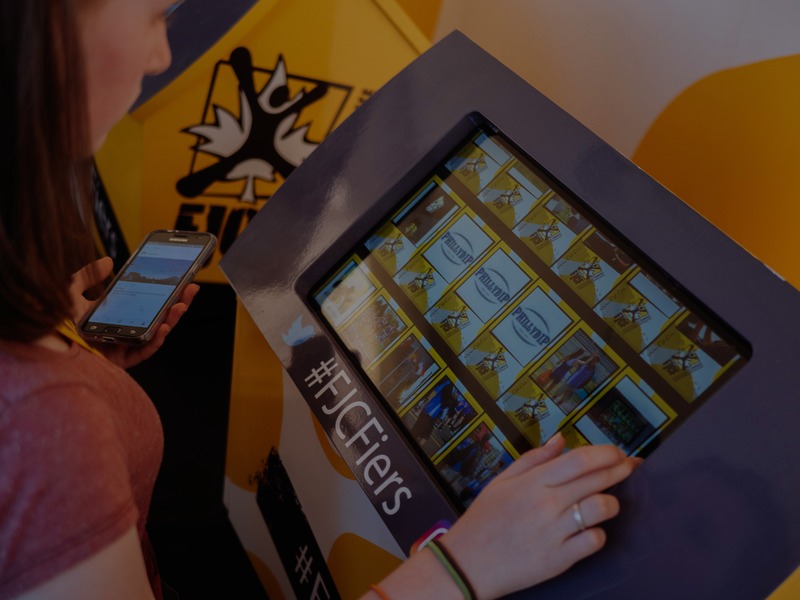 Our print stations offer a unique way to promote your brand on social media, all while engaging audiences at your event. Experiences are shared online and participants are rewarded with a tangible branded souvenir. You choose a designated #hashtag for your event. 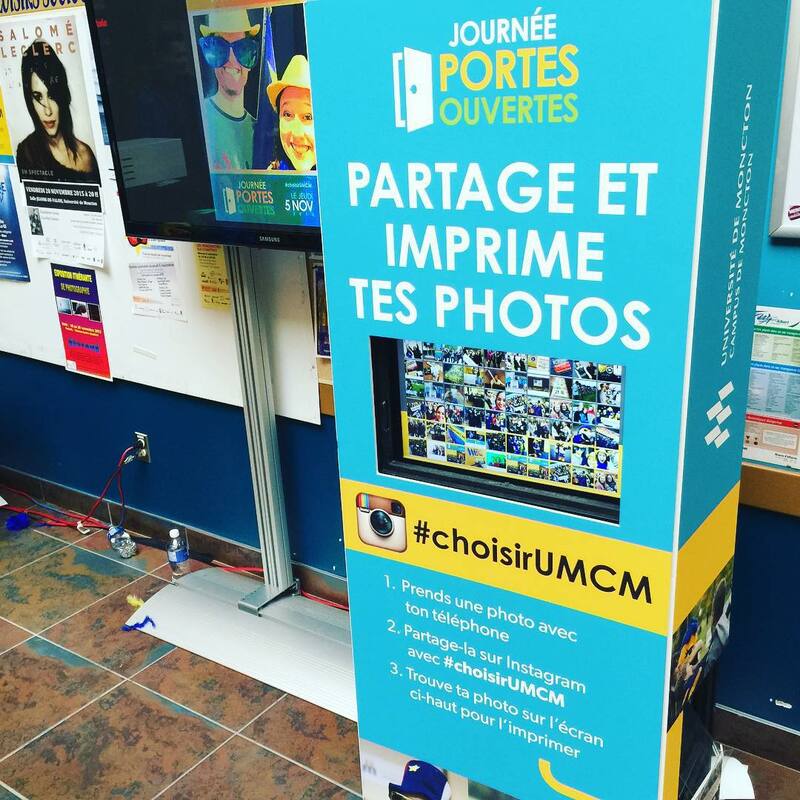 Our print station will search on Instagram & Twitter to display all the photos that are using your hashtag. Your guests select the pictures they would like and print them out. Photos print out within 10 seconds. Photos are simultaneously placed in a custom template before printing. All prints can include your event name, design, branding, and logo. Other customizable options are also available. The client may supply their own design or our in-house graphic design can put together a design based on the specifications of the client. Encourages your audience to take pictures of your event or snap selfies with their friends to share them on social media. This engages participation and enhances the overall event experience. You get a massive amount of exposure on social media thanks to all of the shared pictures using your event hashtag. The best part of is all is that the consumers do most of the work. This product helps promote a specific hashtag to increase social media activity related your event or brand. The best part is that people get rewarded with an instant print that encourages them to visit your kiosk.